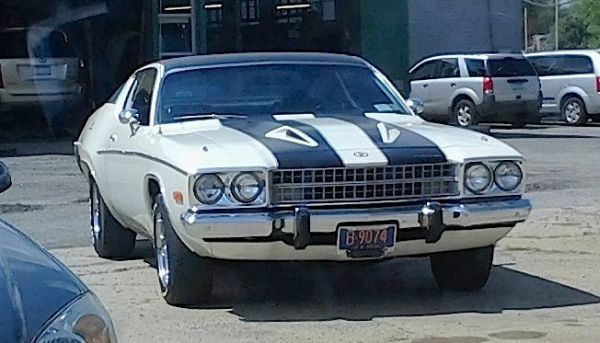 This 1973 Plymouth Road Runner is nothing like what the nameplate started out as back in 1968. The first “beep-beep” cars (the horns actually sounded like the cartoon character) were bare-boned pillared coupes — the cheapest Belvedere model — under whose hoods Plymouth stuffed monster V-8 engines. It was a great idea, but the RR line expanded over the years and became more posh, like this example seen in Kenmore over the summer. Jim Corbran, RRofWNY …and check out our Facebook page: Non-American Classic Cars The post RealRides of WNY appeared first on Buffalo Cars.